Journal of Public Administration Research and Theory, Inc.
Oberfield, Zachary. “Rule‐Following and Discretion at Government’s Frontlines: Continuity and Change during Organization Socialization.” 2010. 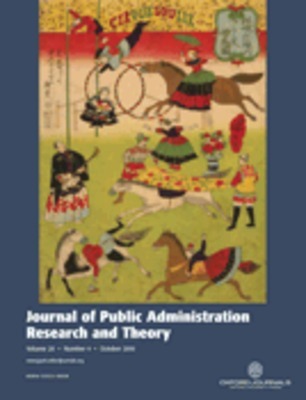 Journal of Public Administration Research and Theory 20 (4): 735‐755.